We are pleased to offer this spectacular brand-new coin which honors the 50th Anniversary of the First Man on the Moon and includes the official NASA logo for which special consent bas been given by the National Aeronautics and Space Administration (NASA) in the United States of America. 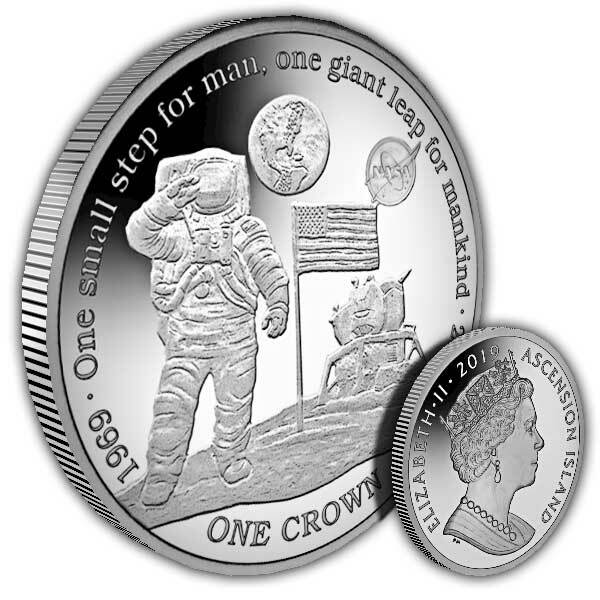 The design on the coin itself recreates this special moment featuring an astronaut standing on the surface of the moon whilst saluting. The NASA logo design is likewise depicted. Devil's Ashpit on the eastern side of Ascension Island made an ideal website to develop a NASA tracking station. Initially built in 1965 to support the earlier Surveyor objectives, it likewise supported the later deep area and Apollo manned objectives and tracked Apollo 11 on its flight from the Earth to the Moon. 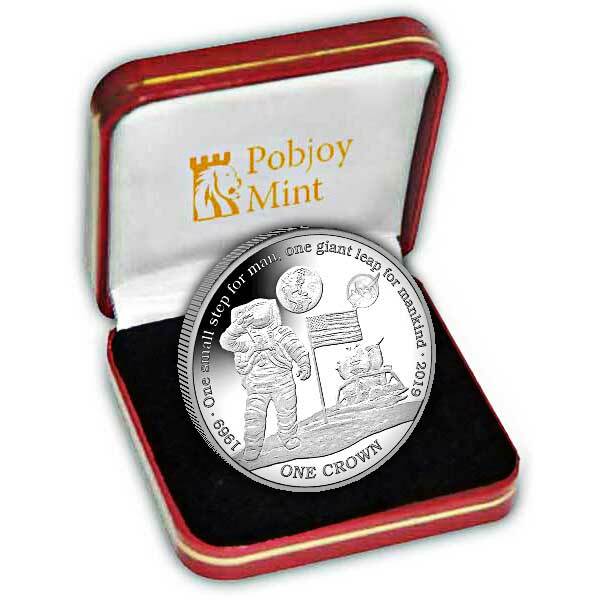 It is for this reason Pobjoy Mint elected to issue this stunning coin on behalf of the Ascension Island.